The hunt to find a development partner for a new £300 million life sciences hub in Birmingham has been launched. The University of Birmingham has signed up property consultancy GVA to find a developer to lead the project in Selly Oak. 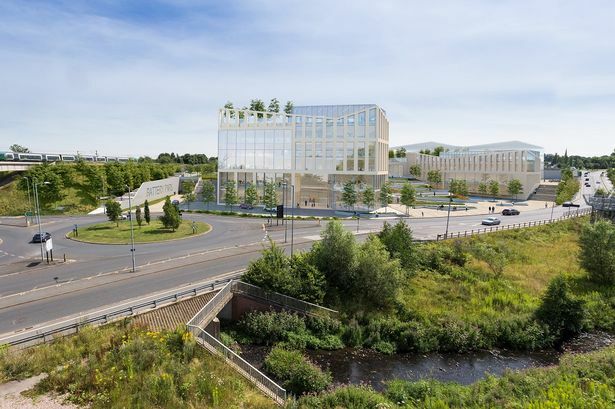 The planned project will be called Birmingham Life Sciences Park and be built on ten acres of land where outline planning consent is already in place with the potential to accommodate more 580,000 sq ft of state-of-the-art facilities. The new park is expected to bring together researchers, clinicians, policy makers and industry to translate scientific and clinical insights into patient benefit and economic growth. It will benefit from its proximity to the University of Birmingham campus, Queen Elizabeth Hospital, Birmingham Women&apos;s Hospital and the Institute of Translational Medicine. Around 22,000 people are already employed in the life sciences sector at 600 companies across the West Midlands. Carl Potter, who is leading the process for GVA, said: "This is a very specific and interesting project for the right partner who wants to enter into a long-term relationship with the university. "There are a growing number of developers and funders who are seeking opportunities such as this which enables development to fulfil a clear long term vision and purpose. "The site is uniquely positioned to take advantage of the innovation which is already under way within this sector and which requires a real estate solution to continue its growth." Steve Taylor, director of strategy and operations at Birmingham Life Sciences Park, added: "The park provides a fantastic opportunity for businesses to co-locate at the heart of our vibrant Birmingham Health Partners campus and work in partnership with our academic, clinical and patient community in order to accelerate new innovation into the clinic. "The innovation space on the park will bring together expertise in healthcare informatics, diagnostics, medical technologies and clinical trials to support the development and deployment of new precision therapies and diagnostics to deliver next-generation healthcare to our population and revolutionise approaches to prevention, diagnosis and treatment of disease." Work is due to start on the park in early 2020.